Sending a postcard for Mutti to Berlin with heart Christmas wishes or an urgent parcel to Izhevsk is possible in St. Petersburg 24/365. State-owned nationwide postal service operator Почта России (The Russian Post) is added by smarter private companies, providing more expensive, but faster and more reliable delivery. 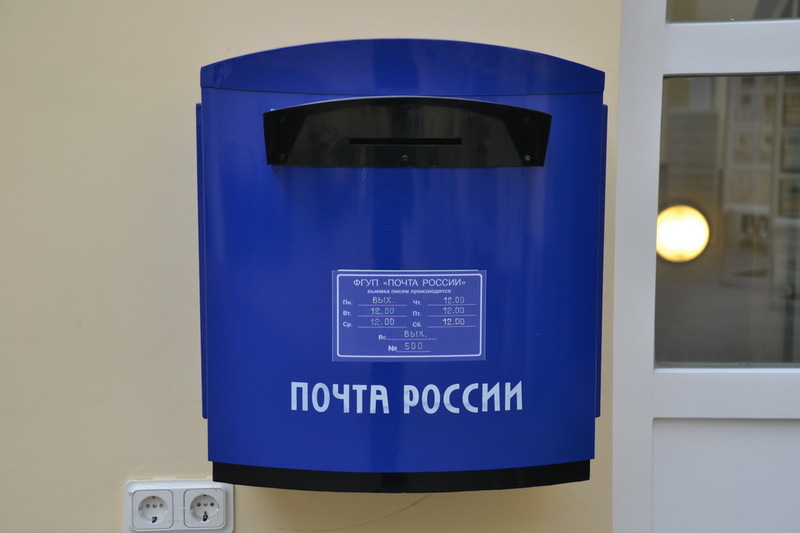 Почта России (https://pochta.ru, The Russian Post in English) is something like Deustche Post or Royal Mail, we mean it is old, big, available throughout the country. As a public corporation it carries out a lot of social important functions which, of course, to some degree is negatively affecting its activity. Its services are quite cheap in comparison to those of private operators, and it provides some services which others don’t. Every office will offer you envelopes, postcards, packaging of a parcel, subscription to newspapers and magazines. Most outlets also provide Internet access. This all translates into high popularity which comes in the form of long queues and often slowing of services. It’s normal for a servant, when you came to receive a parcel or a letter, to look for it for half an hour and to finally find it in the nearest box. Let alone stories when a letter made its way within the city over the course of one week. For finding the nearest outlet to you, ask us if you struggle to read information in Russian. Some of offices are open 08.00 — 20.00 Monday-Friday, 09.00 — 18.00 on Saturdays, 09.00 — 14.00 on Sundays without any break. 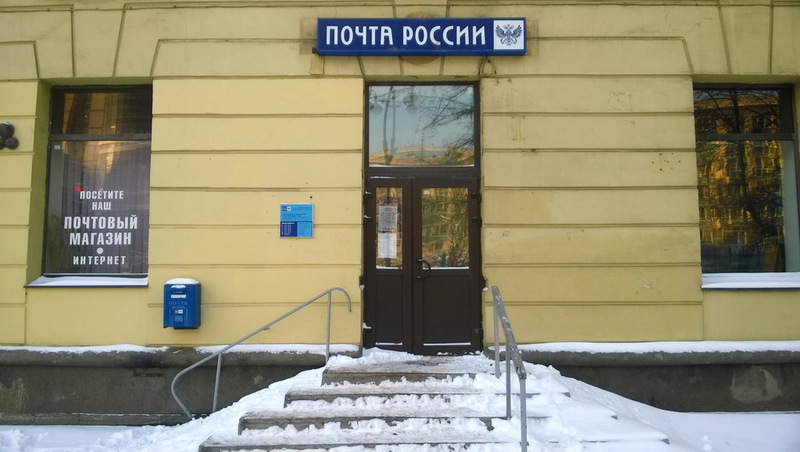 — The headquarter of the St. Petersburg branch of The Russian Post (Главпочтамт, or Glavpochtamt) located in the Pochtamtskaya-street, 9A. The postcode (ZIP code) of the headquarter is 190000, it can be taken as the main code of Saint Petersburg. — The office located in the Sofiyskaya-street, 81, building 1. If you want to send a letter, use a wall box in the street or a mail box inside of a post office. For express service delivery you can use EMS Russian Post, a subsidiary of the Russian Post, which is however not always that fast. — sending official requests and migration applications to government bodies. — sale of post card. Below is a list of operators ready to dispatch your documents, parcels and even larger shipments to almost any part of Russia. Note that not all the companies deal with large-size shipments or provide overnight delivery services or cover all the regions. And even despite of competition there is a rather big gap in prices.